Dr. Farid Khan is an exceptional science-based entrepreneur and innovator. He has developed technologies and therapies for diseases in the developed and the developing world. Dr. Khan has discovered drugs for Alzheimer’s Disease, malaria, rare diseases and produced novel medication adherence devices, biosensers and imaging agents for cancer diagnosis and treatment. He has secured £multi-million funds from private and public sources, formed key interdisciplinary collaborations with industry, academic institutions and charities (such as the Wellcome Trust) including stakeholders in the UK’s healthcare agenda. A visionary leader and respected scientist, with deep knowledge in the engineering & Life Sciences sector gained through business and strong links with the bio-pharmaceutical, agri-technology and clean-technology industry, both internationally and in the UK. 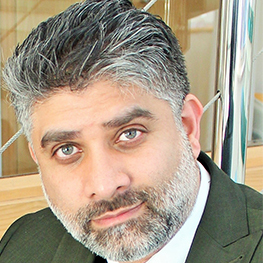 In 2015 Dr. Khan was awarded the British Muslim Awards, in recognition of his work in science and engineering and in the previous year he was awarded the Fazlur Rahman Khan award for excellence in engineering/science/technology by the Prime Minister David Cameron from The Muslim News.